Hand shaped Calla Lily with forming technique. 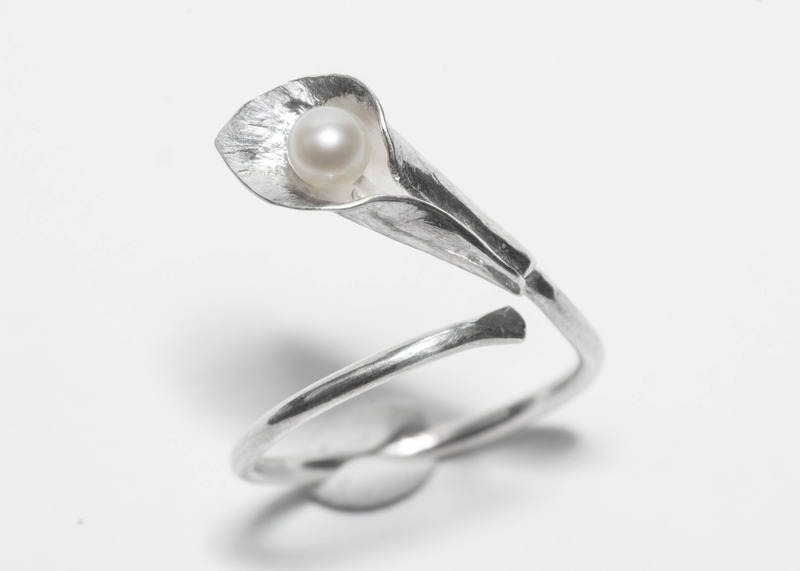 This little lily with pearl makes a very delicate look on the finger. Please let me know the size you want when placing the order.